Only on the Gunfint Trail! Had I known there was a car wash happening I would have gotten mine washed too. You can listen to another person’s account online at WTIP. Richard Hoeg shared this post on Facebook. 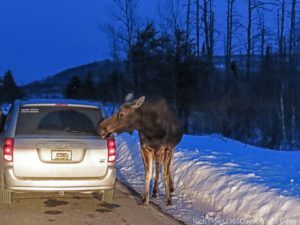 If all the melting snow and slop has you in need of a car wash, just drive to the end of the Gunflint Trail and park your car on the side of the road in the burned out region between Gunflint and Saganaga Lake. 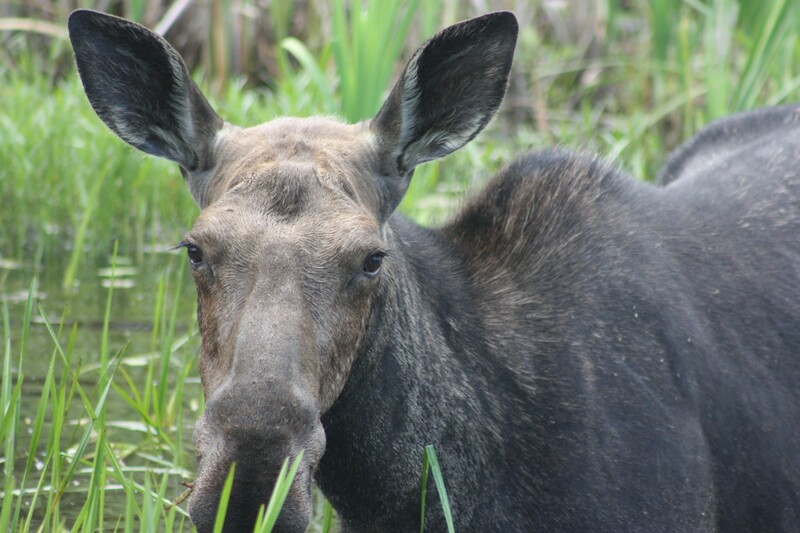 The moose will be with you shortly … however it is important to have salt on your car as the moose do not accept cash for payment. Just after dark yesterday evening while picking up my boys at Saganaga Lake after their successful trek from Moose Lake near Ely to the Gunflint. 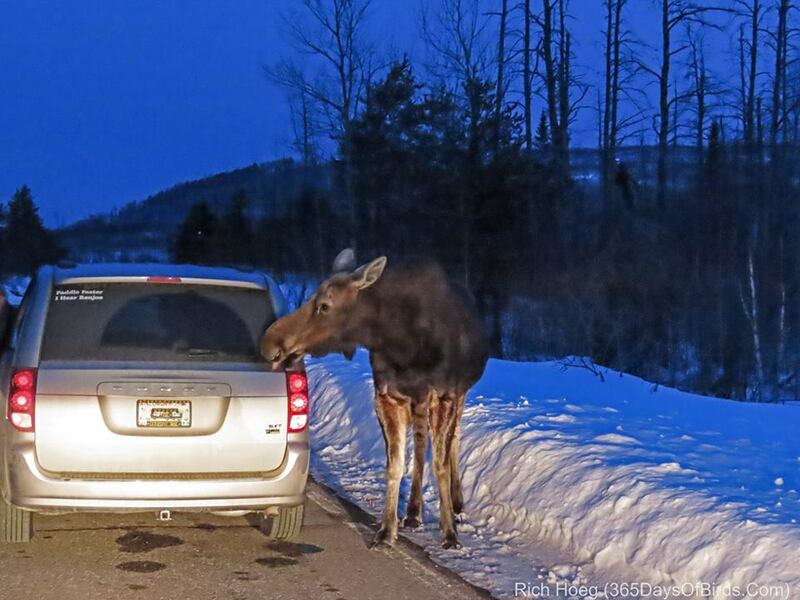 Three cars in succession got the “lick treatment” from two different moose! Snow and high winds made for dangerous conditions on Sunday afternoon. That didn’t prevent some people from heading outside to fish or snowmobile. One group of anglers on the Gunflint Trail had to be rescued from Greenwood Lake when their snowmobiles got stuck in about 14 inches of slush. Luckily the anglers were able to get in touch with Canadian authorities via cell phone service who then contacted the Cook County Sheriff’s Department. Search and Rescue personnel were tasked with attempting to locate them on the 2043 acre lake in 50 mile per hour winds. The group was located a few hours later a couple of miles from the boat landing and rescuers transported them back to land where the ambulance was waiting. Only one of the anglers was showing signs of hypothermia and was taken to the local hospital. Thankfully everyone made it off of the lake safe and sound. Check out the ice coverage on Lake Superior this year as compared to last year at this time. Besides the fun tricks you can do with boiling water when it’s -20 degrees outside there are a couple of other benefits. One big benefit the forest might see is a die off of the Emerald Ash Borer. According to an article, “When temperatures get to about 20 below zero Fahrenheit, we see about 50% of the Emerald Ash Borer Larvae begin to die,” said Rob Venette, director of the Minnesota Invasive Terrestrial Plants and Pests Center with the University of Minnesota…Experts say at 30 below and colder, as much as 90% of the ash borer larva could be dying off. Unfortunately the warming trends we’re experiencing have allowed invasive species to thrive. Some researchers claim the warmer and shorter winters are partly responsible for the decline in the moose population. Winter ticks have been especially bad in recent years whereas years back the tick population appeared to be cyclic. Another benefit of the severely cold temperatures is the amount of ice on lakes. Ice cover can prevent evaporation and thick ice that slows the ice melt can keep water temperatures lower longer. This can benefit some fish species, reduce invasive species and slow down harmful algal blooms. While we two-leggeds may complain about the nose hair freezing cold there are benefits that far outweigh having to turn the thermostat up another degree or add another log to the fire. Bring on the cold Mother Nature. 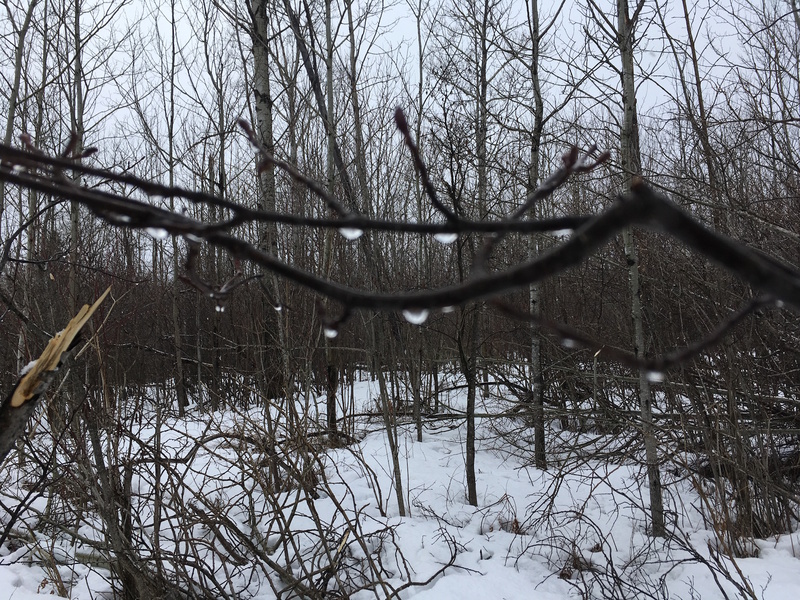 There has been a flurry of emails along with all of the snow flurries we have been experiencing in the northland. 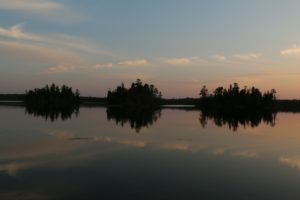 The emails are about what is going on with the permit reservation system for the Boundary Waters Canoe Area Wilderness or maybe most importantly what isn’t happening. 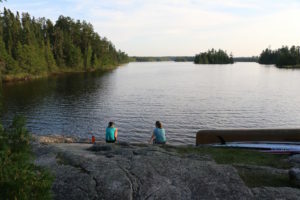 The first thing not happening is the reserving of BWCA camping permits. After the system failed it was shut down and all permit reservations that had been made have since been cancelled. The other thing not happening is communication with outfitters located anywhere but in Ely, Minnesota. Some folks from the USFS, representatives from Senator Klobuchar’s office, Representative from Congressman Pete Stauber’s office, the contractors that run the permitting system and a large handful of outfitters in Ely had a meeting to work through issues with the reservation system. Apparently the opinions and ideas of outfitters located elsewhere including the Gunflint Trail are not needed nor wanted. There will be trainings for cooperators coming soon. We do not know in what format that will happen, so stay tuned. 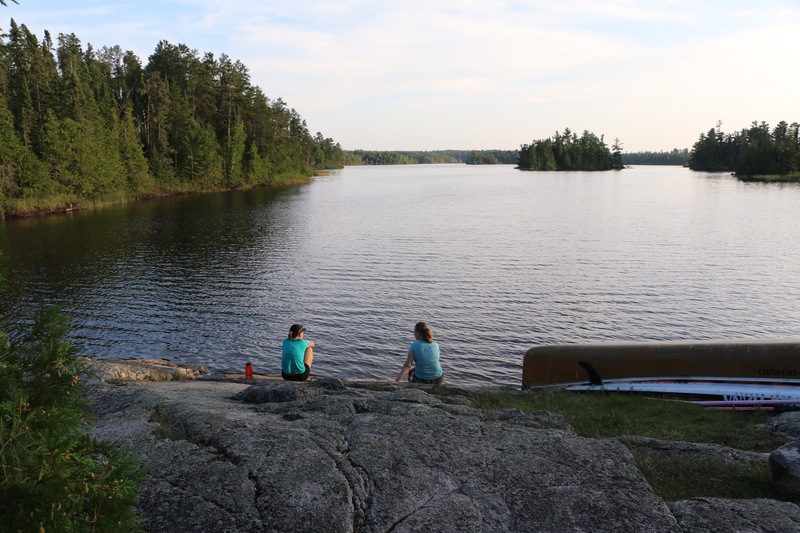 So, it looks like it will be awhile longer before we start reserving permits for Boundary Waters Canoe trips, we’ll do our best to keep you posted.